How do Cloud Hosting Work, Really. If you have ever looked into cloud hosting options, then you may have come across the term of it. Despite the popularity of it, you probably have a lot of questions. How they work and how they can benefit you? In this article, we’ll explore what is cloud hosting and how it works. After all, it’s always a good idea to know what your options are and how you can use it to your advantage. Cloud hosting provides an outsource infrastructure from any cloud hosting providers to host data and services to organizations that are looking to use its resources. It is a place where your website is hosted on a cluster of servers instead of having your site hosted on one server. It operates through virtualization – the entire computing functionality of the organization’s infrastructure is distributed and delivered to multiple users simultaneously. The user utilizes the cloud hosting infrastructure to host its own data and services. The cloud hosting provider, then oversees the infrastructure, security, maintenance and setup for clients. For example, a physical server can be centralized and virtualized to organize various cloud servers to share the processor, memory, storage, network and other resources. Compare to traditional hosting platforms such as shared hosting and dedicated hosting; data is contributed and administered from multiple servers, which is entirely different compared to cloud hosting infrastructures. Traditional hosting platforms can be costly in operating expenses for organizations and thus, the cloud hosting model offers a cheaper alternative. The obvious way to break down cloud hosting is to compare it to traditional hosting. All of your data is placed on a single server. When a user visits, the data is then followed up from that single physical server. With cloud hosting, your data can be drawn from multiple distinct virtual server settings. At the core of a cloud hosting structure is a network of physical and virtual servers running together. With this structural setup, you can use a near-infinite supply of server resources for your organization. Traditional hosting comes in two different varieties: dedicated and shared. First, with dedicated hosting, an organization pays for the total resources of one or more servers from a service provider. The customer has a set provision of dedicated CPU, RAM, bandwidth and the drive space as well as full control over the server’s resources. Second, with shared hosting, the customer pays for a set amount of space storage on a single server, and many other websites share that server’s resources. Here’s our top 10 best shared hosting roundup if you need to check them out [Bonus – Insight Data Included]. This option is very common among small and medium-sized organizations because it’s cost-efficient and provides low-maintenance plan to host an application or website. Our site here are using shared hosting by WebHostingHub. Update: GoodCloudStorage are now hosted with Siteground. The service provider is also responsible for operating, managing, and updating the units. We plan to switch to WP Engine though. They claim to have the fastest WordPress Hosting in the planet but we just can’t seem to justify the cost for now. But maybe in the near future, we do really make the switch and have a flying site. Shared hosting, however, has its disadvantages. The single’s server resources are shared among various websites, which can lead to spikes in traffic to those websites and decrease the performance of your website. Not to mention, security breaches and other performance issues on other websites take your site down as well. Furthermore, there is a possible chance of a single point failure – meaning that if the server experiences technical issues – everyone hosted on that server will be affected. In addition, if you have a predictable traffic flow on your sites, this option is a good solution for you. However, if your traffic is growing rapidly, you may need to purchase additional server space to add to your processing power and storage space because of the limited amount of storage you have. Cloud hosting, on the other hand, offers a scalability level that traditional hosting can’t provide. Cloud hosting companies provide virtual space on an on-demand, as-needed basis. Instead of paying for a set amount of space up front on a single server, the customer pays for what they use. With cloud hosting, the data load is supported across a group of multiple servers. The data information and applications held on these servers are reflected across the whole group, indicating that if an individual server goes down, there is no lost information or downtime. And you should know that why to prevent downtime is necessary in this competitive business world. Because of this surplus, cloud hosting is much more flexible and resilient. Issues with one website or application are not to affect your bandwidth or performance. Cloud hosting companies maintain and operate all of the necessary hardware, and the customer pays for the resources they utilize, similar to how we pay for utilities like electricity. It is more scalable and agile compared to traditional hosting. If an application or website receives more or less traffic, the cloud servers scale up and down automatically. With cloud hosting, there’s no need to manually add or remove server space as there is in shared hosting concept. The main advantages of using cloud hosting services are they are more cost-efficient, flexible and scalable in building websites, applications, and other services. – Better scalability. The cloud servers are designed to easily add more resources to their data cluster to tackle heavy loads. – Minimized downtime. You will not face any issues when your server is down. – More customization choices. Most cloud hosting providers will enable you to customize your server cluster to your specific needs. – Reasonable cost. When it comes to cost, cloud hosting plans to charge based on what you used. – Highly automated: IT personnel doesn’t need to worry about keeping software up to date. 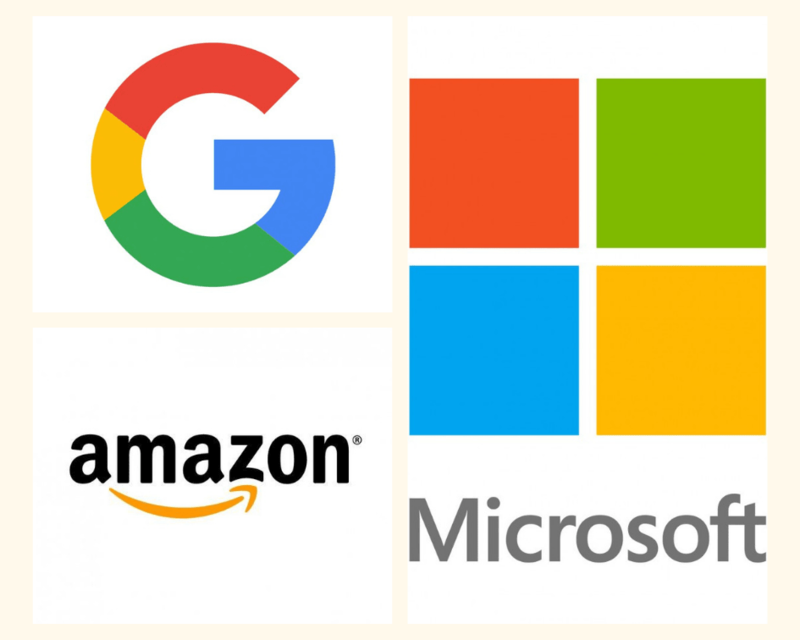 Amazon, Microsoft and Google, the Goliath in Tech industry. It is not a surprise that large companies such as Amazon, Google, and Microsoft dominate the vast majority of cloud computing globally. In other words, they are called cloud infrastructure providers (IaaS). Their infrastructure is so vast that they tend to be referred to as Hyperscale cloud than normal cloud. As a matter of fact, these three big companies offer so much more than just scalable, secured global hosting. They are continually innovating and transforming the cloud hosting infrastructure and making sure that it is available to you. They don’t just offer these cloud hosting as a commodity service but instead, revolutionize your organization with their advanced technologies. As previously mentioned before, cloud hosting is definitely, priced reasonably compare to traditional hosting. You may find various cloud hosting companies offering at under $5 per month to $30 month per month, sometimes more than that. To be more on point, these costs are measured according to your use. As you can see, cloud hosting sounds excellent, but the question is, do you really need it? Cloud hosting is not for everyone as there are other various options for you out there to select a more straightforward and traditional packages. But if you are receiving a high volume of traffic and looking for a host that is not only flexible, secure and scalable but also honest with its pricing, then you should adopt cloud hosting. Thus, this brings to the next question which is who are the best cloud hosting providers out there. There are dozens — if not hundreds — of cloud hosting providers to select. Finding the right one can be a daunting prospect. Not to fear, we have come up with the below of best cloud hosting providers after some thorough research. Amazon was one of the first companies to enter the cloud services business. Since then, it has become known as the leading Infrastructure-as-a-Service provider. They give you more options than anyone else in the cloud industry business. However, there is not fixed pricing for the cloud service, which is an excellent advantage to tackle. AWS offers a calculator to calculate the total amount you have to pay for your services. The plans are quite expensive, but it is justified due to the services they provided. Not to mention, Amazon offers free AWS services for one year. They offer an informative knowledge base and video series to help you with your inquiries. 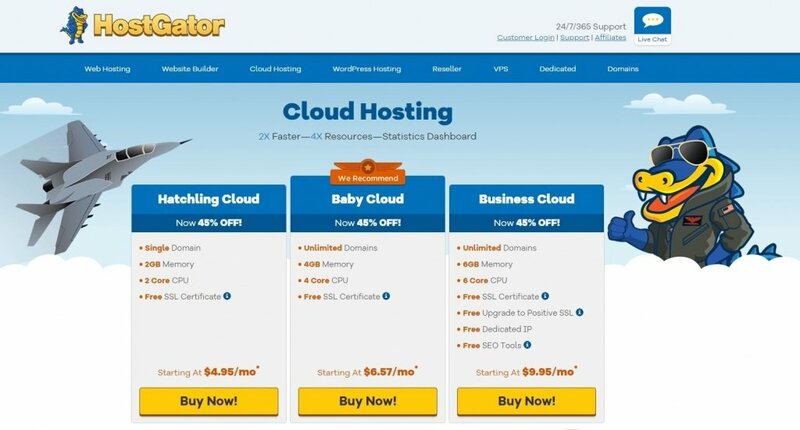 If you are looking for for a provider that offers an option for smaller business, then HostGator is definitely recommended. 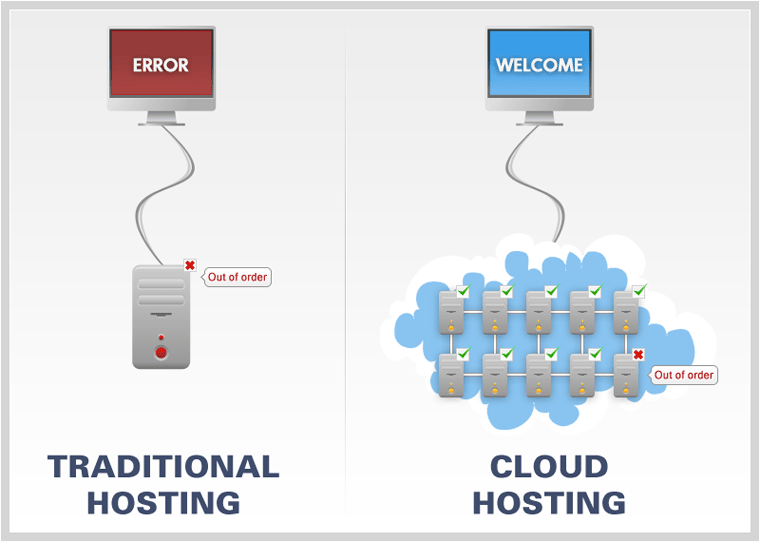 HostGator’s cloud platform covers your website capacity across multiple virtual servers to provide more reliable and scalable hosting. As a matter of fact, it is simple to use and offers a substantial range of plans. All of their plans offer not only unmetered bandwidth and storage but also unlimited MySQL. Hostgator operates on Windows and Linux operating systems. 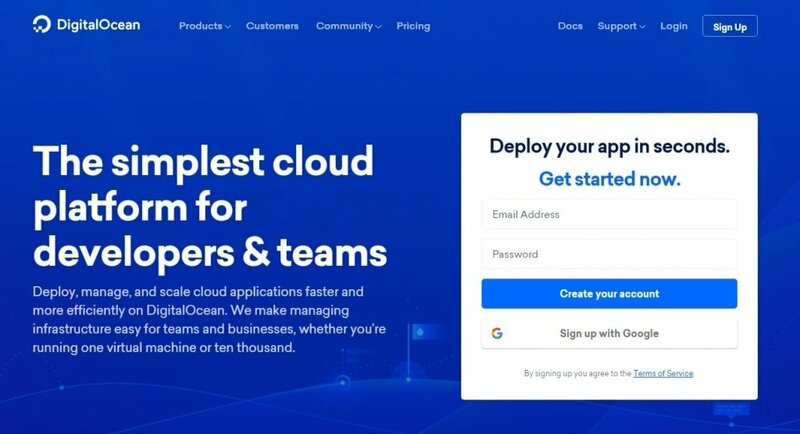 DigitalOcean has very quickly become one of the most famous cloud hosting providers. They are also known to be one of the most reliable and trusted platforms among users. The reason is that their cloud servers’ infrastructure is robust, reliable and simplicity and not to mention, they offer low prices. Cloudways provides affordable price and exceptional functionality for the cloud-based managed WordPress hosting. Cloudways enables you to build a WordPress web server app with ease, along with their universal utilized apps. Their platform-as-a-service cloud servers come with excellent features as they will help you to scale hosting resources as your site grows. As a matter of fact, their hosting infrastructure is particularly optimized for speed, security, and performance. If you’re looking for high-performance SSD cloud servers, then this is for you. 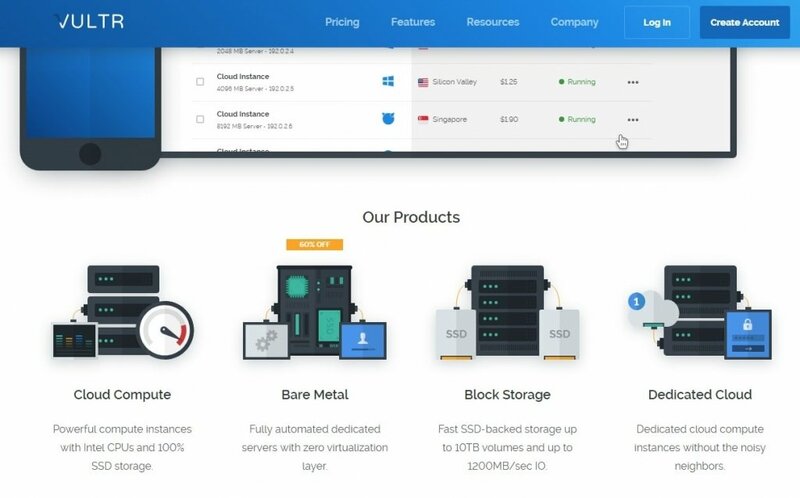 Vultr is known to provide high-performance SSD cloud servers. Its main goal is to provide the most reliable and efficient service globally. Vultr also aims to raise a global footprint which makes this cloud service very different from the others. Their plans are suitable for individual entrepreneurs and small businesses. iPage had been the web hosting provider since 1998. For beginner, they offer excellent support as they provide Free Domain and additional services such as web design and etc. Check out their full service here. To ensure that you are receiving a maximum server speed, they had deployed high speed mirrored SAN storage. They even guaranteed that there will be enough memory allocation and reliability. There are many excellent cloud hosting services available right, although the technology is in its origin. 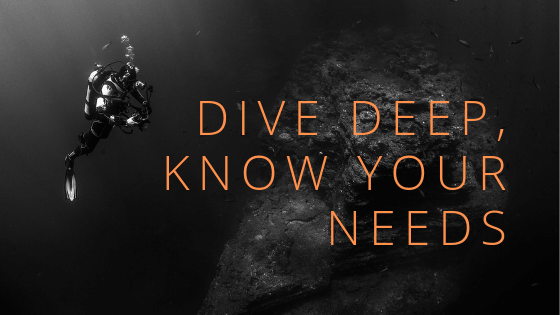 Dive into the sea of cloud hosting and pick what most suitable for you only! As the cloud becomes a favorite hosting spot to maintain and store data, it has become attractive for many reasons. It has also become a league of its own compared to many other traditional forms of shared hosting as it offers far more unique advantages that qualify its existence. Overall, cloud hosting is cost-effective, where you only pay for the services you need. It also eliminates the unnecessary capital expenses you don’t really want which is usually the common disadvantage in many traditional hosting services. In other words, cloud hosting providers charge you for what you use. Cloud hosting, definitely, takes the crown when it comes to security, agility, performance, and uptime. We take security seriously, that’s why we’ve come out with the most secure cloud storage. The same should goes for cloud hosting or even shared hosting. On the other hand, for those organizations where website traffic is relatively low and predictable, and selling online is not so important, then the greater affordability of shared hosting may be all that is required.